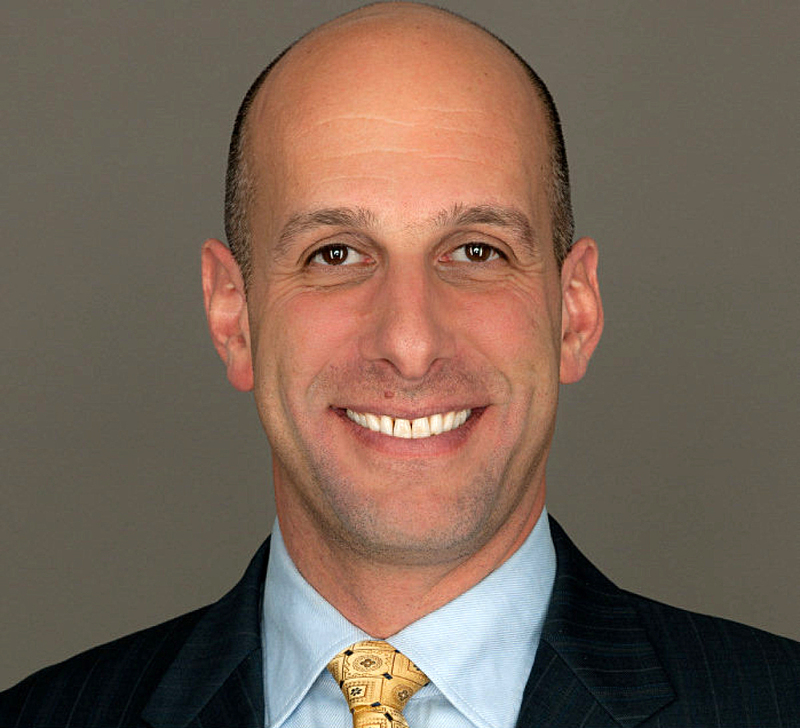 ESPN broadcaster Dan Shulman took some time to sit down with the North York Hockey League to give us his thoughts on his involvement in minor sports. Dan is the voice of ESPN’s Sunday Night Baseball, as well as calling numerous NCAA Basketball games. Toronto Blue Jay fans will now get the opportunity to listen to Dan’s familiar voice, as he will be calling some Jays games over the next two seasons. The NYHL would like to thank Dan for his insight and valuable time. Read his Face to Face interview below! What minor sport/sports were you active in? I liked to play any sport, but primarily I played basketball, baseball, ball and floor hockey. I have two that have stuck with me. The first one was when I was playing water polo in high school. We were in the North York semi final game and I had a great opportunity to score but unfortunately didn’t. The other team eventually scored in overtime and went on to win the championship. Another moment that has always stayed with me was having my dad coach me in baseball. That meant a lot to me. There were a few things that always bothered me. Getting cut from a team was a big one. There were also times where I just wasn’t as good as I wanted to be, so I didn’t get as much playing time as I hoped to get. I learned a great deal about teamwork and how to win and lose as a team. It taught me how to get along with others, how to succeed as a team and having everyone understand their roles and responsibilities. Absolutely! I think it helps me in my job every day. You have to be able to get along with the people you work with in order to get the most out of everyone. Did you always know you wanted to be a broadcaster or was there a specific moment in your life that lead you to down that road? I never really knew I wanted to be a broadcaster. My parents always encouraged me to try some extracurriculars, so my first day at Western, I went to the school’s radio station and asked if there were any positions available. One week later I was calling a football game and that’s how it all got started. You were lucky enough to cover hockey in the 1994 Olympics in Lillehammer, Norway. Can you describe what that experience was like? I was only 27 years old. I was on the “B” crew to cover hockey, so I did. The arena was amazing. It was like carved out of the inside of a mountain. The hockey was fantastic, and just being at an Olympics, and getting a chance to meet people from all over the world, was a great thrill. How would you describe your time in Toronto as the play by play man for the Blue Jays? I was working at the FAN at the time and when Jim Hughson decided to move back to Vancouver, I was offered the opportunity to audition for the job, and eventually got it. It was the biggest break I ever got. I was 28 years old and after the first week I knew play by play was what I wanted to do. You have become one of the most recognizable and well known broadcasters in North America which has allowed you to witness some incredible sporting events. What is the one event that has stuck out in your mind as the most memorable? I have two. The first was the 2011 World Series between St.Louis and Texas. David Freese tied the game in the ninth inning with a triple, with the Rangers a strike away from winning. Then after the Cardinals were a strike away from losing again in the 10th, Freese hit a game winning home run in the 11th. I don’t know how a game could be more exciting than that. The second moment was the 2003 NLCS at Wrigley Field, when Steve Bartman touched the foul ball down the left field line, and the Cubs went on to lose when it looked like they would go on to the World Series. Can you describe what you think is the biggest difference between the U.S college sports atmosphere and the professional atmosphere? The professional atmosphere is more corporate compared to the college environment. College sports is more about the students, so it’s livelier atmosphere. In the U.S people have a very strong connection to their schools and are great supporters of their alma maters. What is your favorite venue to watch a live sporting event and what makes it stand out? In baseball it is Fenway Park in Boston and Wrigley Field in Chicago. Both are very historic venues. Of the more modern stadiums, AT&T park in San Francisco is also a great place to see a game. Looking out toward the Bay makes it really unique. For college basketball I really enjoy Allen Field house in Kansas and Cameron Indoor Stadium, the home of the Duke Blue Devils. Both schools have great basketball programs and fantastic home arenas. You have been through the minor hockey system in Toronto with your son. What do you think the most positive and most negative aspect of the environment is? The positives aspects would be the great relationships that are made. These kids truly make friendships that in some cases, they’ll keep for life. It also teaches kids life skills such as teamwork, commitment and responsibility. As for the negatives, I believe parents have to put things into perspective. Only a tiny percentage of kids will ever make a living by playing sports. Parents should remember what we are trying to teach the kids through their involvement in sports. What advice would you pass along to kids today that are involved in minor sports? Always give 100% and most of all enjoy the experience. What advice would you pass along to parents who have children participating in minor sports? Think about the things you want your kids to get out of the whole experience. Encourage them to work hard, develop their skills and to enjoy their time. Thanks to Dan Shulman for his time! We’ve had Face to Face chats with all sorts of cool people! Read all of our interviews.